Southmoor Vista is located on the west side of Happy Canyon Rd. across from Jefferson Square Park. Most homes average 3,000 square feet and sit on lots that are 1/3 of an acre to 1/2 an acre. Southmoor Vista is literally on the border of the city of Cherry Hills Village and is the more suburban part of the entire Cherry Hills Village sub-division, with a higher population and property density than other part of the city. The properties in this neighborhood are still spacious and you're also investing in a property in an area with an incredibly low crime rate thanks to the fulltime Cherry Hills Police Department and of course the Cherry Hills HOA too of course. The vast majority of people living in this area tend to be families so schools are obviously a concern for you, but there's no need to be as Cherry Creek School District is one of the best in the country, with some of the highest academic standards and SAT scores to match. In the immediate area you'll find that Southmoor Elementary School and Thomas Jefferson High School are there to help your kids get a great start in life. 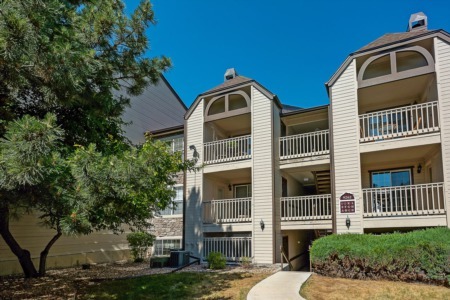 Your shopping and socializing needs are well catered for by Cherry Creek Shopping Center, a King Soopers, Tamarac Square and the Denver Tech Center, so you shouldn't find yourself wanting for very much living here. If you prefer the open air and wide open spaces then you're going to love Cherry Creek State Park and Reservoir just a short drive to the east - this has everything from nature trails, to water sports and even has a family shooting range. Southmoor Vista is connected to the rest of the Metro Denver area and the state by the I-25 which is just to the east of this development. Very competitively priced properties makes Southmoor Vista an area worth investigating.